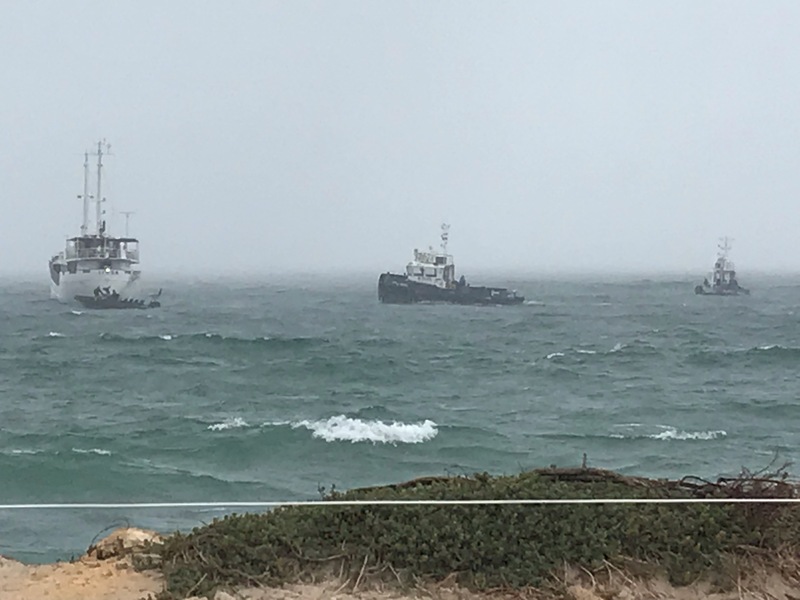 TUGS will tow away a ship once linked to gun running which lost engine power, before its motorised tender was damaged and pushed onto shore in heavy weather at Port Beach, North Fremantle overnight. A Fremantle Port Authority spokesman said private tugs, not theirs, would remove the vessel. “(Tugboat company) TAMS arrived this morning to tow it back to its permanent mooring at Mangles Bay in Rockingham,” he said. However, continuing rough weather means the 500-tonne MV Lissa will not be towed until tomorrow. In 2005, six guns and a stand for a machine gun were found when Indonesian police boarded the ship when it was owned by Peppermint Grove resident Christopher Packer off Bali. Mr Packer subsequently spent several months in an Indonesian jail before his death in 2013. Mr Packer sold the Lissa to Saferight industrial training operator Mac McCormack 12 years ago. It has been moored at locations including Henderson, Rockingham, Rottnest Island and Fremantle’s Fishing Boat Harbour. Water Police questioned its safety when it was used for parties several years ago. Last month, it moored in open water off Port Beach, before an onboard function. Mr McCormack said the ship stayed off the beach while he was waiting for a new clutch for its engine, and it was the tender’s centre consol which washed ashore when it was swamped. The Department of Transport monitored it and the anchoring of its yellow tender at nearby Sandtracks Beach, because it was in department-administered waters. Senior Constable Mark Jennings said the tender had taken on water in high swells and overturned without injury overnight. 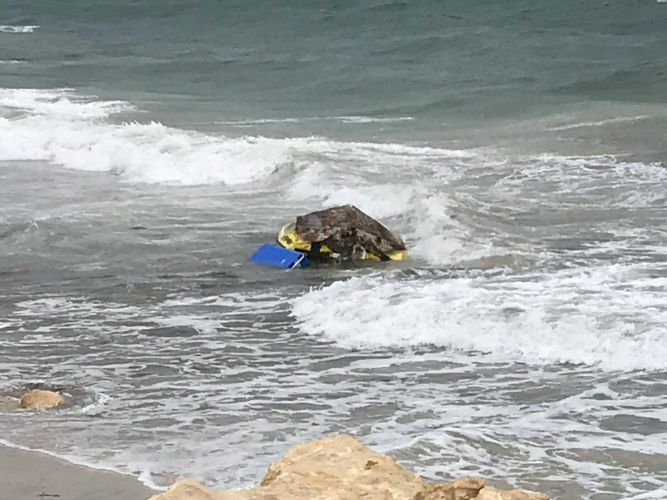 Mosman Park resident and witness Tim Hadlow said the tender had broken up and washed ashore on rocks at Port Beach this afternoon.